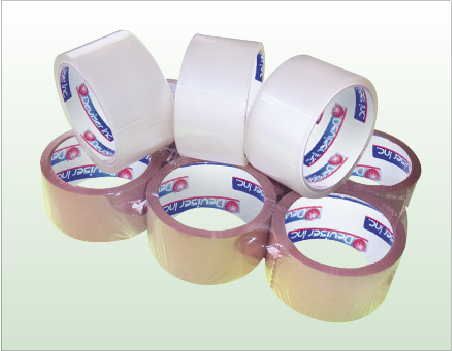 The water-based acrylic (emulsion acrylic) carton sealing tape is constructed by strong and dependable polypropylene film backing, and coated with water-based acrylic adhesive, that provides superior performance to close the carton better and keep carton sealed longer. We offer different thickness of carton sealing tape for sealing application subject to different shipping condition, or where the content value require a different level of sealing performance. Total Thickness : 1.8 Mil. 2 Mil. 2.6 Mil. 3.6 Mil.